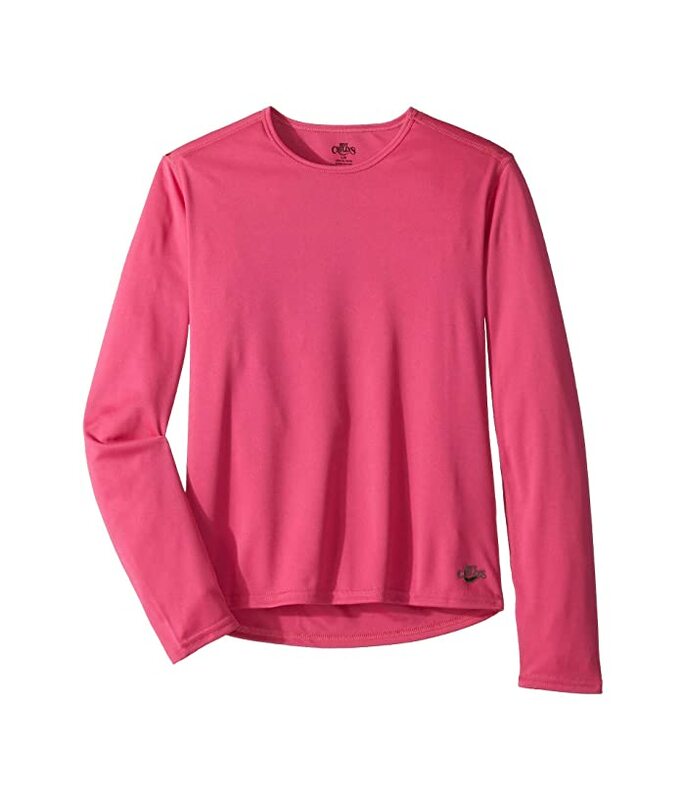 Combining the tight knit of interlock construction with MTF micro polyester yarns and moisture management tech for a soft, comfortable, fun-ready base layer. Technical characteristics of the fabric protects against sweat, odor, and chafing. Flat seam construction reduces bulk and abrasion. Crew neckline with self-binding at trim. Product measurements were taken using size XS (4-6 Little Kids). Please note that measurements may vary by size.